Congratulations to Sergio Garcia 2017 Master Champion. The Spanish champion is taking home an eye-watering $1.98 million US after claiming the green jacket at the Augusta National this past weekend. Speaking of that famous green jacket did you know that an authentic green jacket from Augusta National Golf Club that was once bought for $5 at a Toronto thrift store has sold at auction for more than $139,000. Green Jacket Auctions says the distinctive sport coat worn by members of the famed Georgia club and presented each year to the winner of the Master’s tournament was sold Saturday, a day before the final round of this year’s Masters. The auction house says in its listing that the jacket was discovered in 1994 in a Toronto consignment shop. The tag shows it to be from the 1950s, but the original owner’s name has been cut out. The club has confirmed its authenticity. 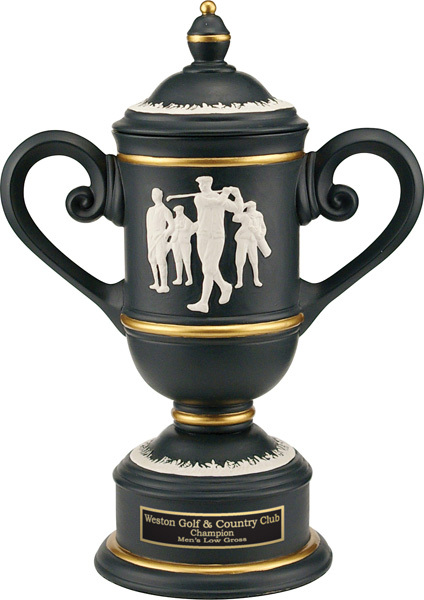 You may not be golfing in The Masters this year but check out Hoult-Hellewell for all your golfing awards and trophies.